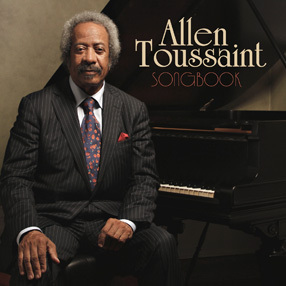 Watch Allen Toussaint - Preview on PBS. See more from Austin City Limits. ★2013 GRAMMY nominee (2 separate nominations) - Best Americana Album for Songbook and Best Americana Roots Song for "Shrimp Po-Boy Dressed"
2013 Featured on Will Lee's (longtime bassist of the Late Show with David Letterman) album, Love, Gratitude and Other Distractions, alongside ZZ Top's Billy Gibbons on Lee's cover of Allen's tune, "Get Out My Life Woman"
2013 Featured on John Fogerty's album, Wrote A Song For Everyone, alongside both Jennifer Hudson and Rebirth Brass Band on the track "Proud Mary"
2010 Offbeat Best of The Beat Awards - Winner - Artist of the Year, Album of the Year, Best Traditional Jazz Album, Best Piano/Keyboardist. Featured on Cyndi Lauper's DVD/CD To Memphis, With Love. Allen also joined Cyndi Lauper on The Rosie Show (hosted by Rosie O'Donnell) which aired on Oprah Winfrey Network, November 2011. Featured guest on Trombone Shorty's Backatown CD on a cover of Allen's own song "On Your Way Down"
Featured Appearances on Elvis Costello's Spectacle on the Sundance Channel: Allen was a special musical guest in the premier episode with Elton John and was featured in a second episode playing with Levon Helm, Nick Lowe and Richard Thompson.